FOUR men who attacked and robbed a teenager are being hunted by police. They targeted the 17-year-old youth on Headlands Street at Liversedge just after 10pm on Wednesday. Police said one of the men of them pulled the victim's T-shirt over his head and hit him. The other three men then became involved, hitting and kicking the victim before taking a navy-blue Lacoste bag and cash. Police Constable Paul Campbell of Kirklees CID, said: "We are investigating this robbery and would like to speak to anyone who saw what happened or has information. The suspects were described as four Asian males. One of the males was 5ft 8in, of skinny build with black short hair, a blue bomber jacket with hood up and black jogging bottoms. 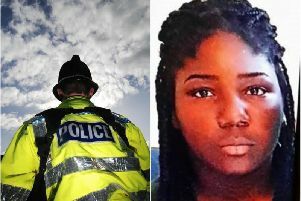 Anyone who has information should contact Kirklees CID on 101 referencing crime number 13170283978 or call the independent crime fighting charity Crimestoppers on 0800 555111.